One of those guys who clings stubbornly to outdated technology, Henrik Stelzer’s musical project Metro Riders joins the ranks of artists making sounds on synths and computers produced long ago, a defiant middle finger to the idea of such tools having a sell-by date. His new album, Europe By Night, claims inspiration from film soundtracks: the music of John Carpenter and countless giallos being the most obvious touch points. Songs like opener “Stockholm 2024,” however, sound more indebted to ambient music of the late ’90s, with hints of The Future Sound Of London and other like-minded artists. Later tracks possess an undeniable cinematic influence, with soaring synths and scratchy rhythms undulating hypnotically. Still, Europe By Night is more of an instrumental spiritual successor to Trans-Europe Express, the droning vocals of Kraftwerk’s masterpiece here replaced by fluttering melodies, churning bass lines, and art-damaged Vangelis acolytes. All of which is a lengthy way of saying that I can’t stop listening to it. It’s the perfect accompaniment if you’re one of those people, like me, who prefers wordless musical soundscapes when working, the better to drown out the sounds of the El train rattling by my window. 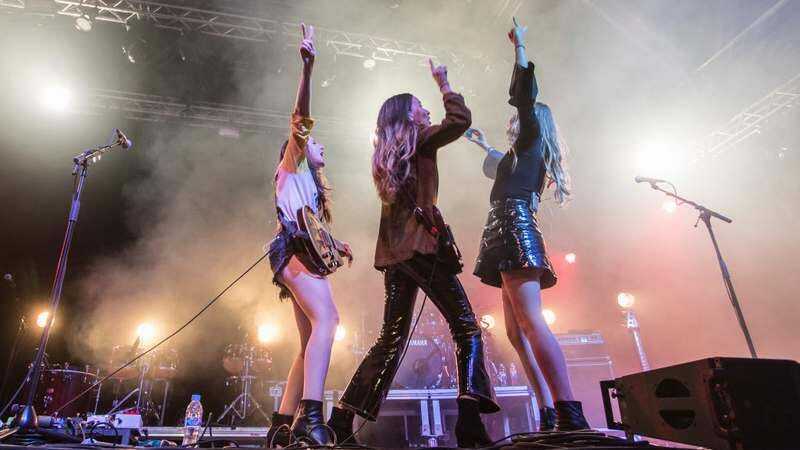 I, for one, am so happy Haim is back and making new music. Specifically, I’ve been playing their song “Want You Back” on repeat. It’s the kind of pop song I absolutely adore: It’s intricately produced, rhythmically galvanizing, and filled with longing. I’m hooked on the alliterative chorus: “I’ll take the fall and the fault in us.” Danielle, Alana, and Este Haim owe a lot to those who came before them—Wilson Philips and Fleetwood Mac come up a lot—but they are making new versions of just the kind of jams I want in my ears constantly. When a combination of factors sent the anxiety I normally keep at bay surging over my mental levees, I realized I needed to make serious changes. Plenty of people swear by meditation, so I returned to an app I’d tried a few years prior: Headspace. Back then it was set up differently—you had less control over duration and fewer options—and the experience didn’t hook me. Probably some combination of my grasping-for-anything mental state and Headspace’s updated look changed all of that for me this year. Roll your eyes at the app-ification of everything (and chances are I’ll join you), but I’ve found Headspace to be enormously helpful. Users start with a “foundation pack” that groups three 10-session sets to get the basics. (Each session lasts 10 minutes at a minimum, and users can increase the length.) Devoted meditators will probably find it a little basic and potentially frustrating, because users have to complete the foundation pack before moving onto one of the other series, but everyone could probably use a refresher. Each session downloads an audio file to your phone and is led by Headspace founder Andy Puddicombe, a soothing Brit and former Buddhist monk with an excellent last name. He keeps the tone approachable and grounded in everyday life, perfect for people like myself who get turned off by hippie-dippie transcendental meditation types. When you complete a session, it downloads the next one, so you always have it ready, even if you’re without wi-fi. Videos with Andy and animations appear before some sessions to provide extra guidance. Once users finish the foundation pack, there are a variety of other series to try, each with a different focus: sports, health, relationships, and performance, which in turn have sub-packs of 10 to 30 sessions around other topics. I made a beeline to the anxiety and stress packs, and they’ve made a huge difference.